Red is not a color I wear often… not because I don’t like it (I LOVE IT! ), but because I like to save it for that WOW factor. Bright red on fair blondes just seems to pop unlike any other color. The contrast is incredibly striking, don’t you think? Two of my all-time favorite dresses have been bright red, but I definitely prefer to save it for special occasions or if I really want to stand out. Aside from one off-the-shoulder top, I don’t have any other red in my wardrobe aside from a few dresses. I’d like to start sprinkling a few more tops in there so I can start adding a wow factor to my more casual outfits. I feel like this top is feminine and flirty, but the bold shade of red gives it an edge. I also saw that my leather Chanel espadrilles now come in the perfect red-orange hue for summer, so I’m thinking of snagging those if I can find them in my size! The Dallas store didn’t have them in stock… If I can’t find them, maybe I’ll save instead with a pair like this! This is fun! 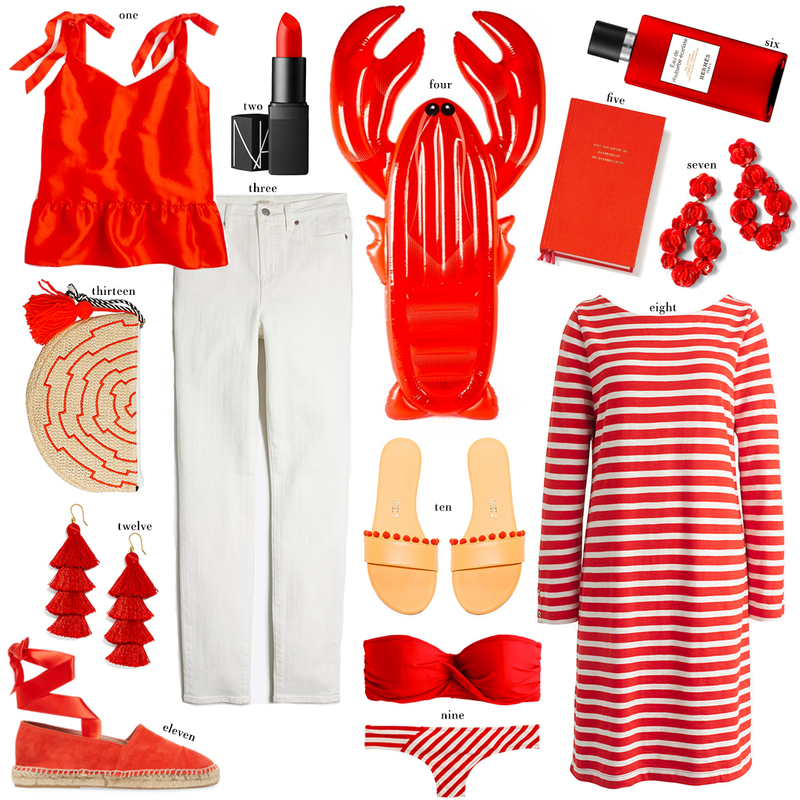 Love wearing the color red and I love the bikini set! LOVE the top with the ties! so cute for summer.